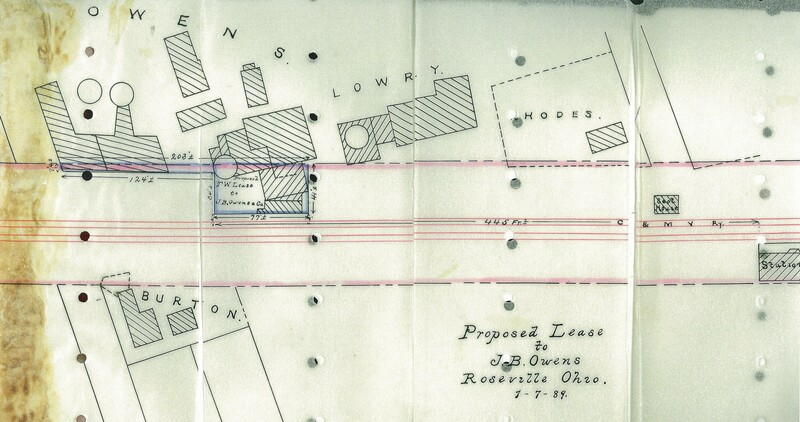 From 1889 Roseville Ohio Sanborn Map Co.
On January 11, 1885 J.B. Owens began making pottery in Roseville Ohio. His first pottery was located on the banks of the South Fork of the Muskingum River on a small patch of land leased from George Walker. This small operation had a single 9 foot kiln. Later this site was occupied by a variety of pottery operations including the Ungemach Pottery. 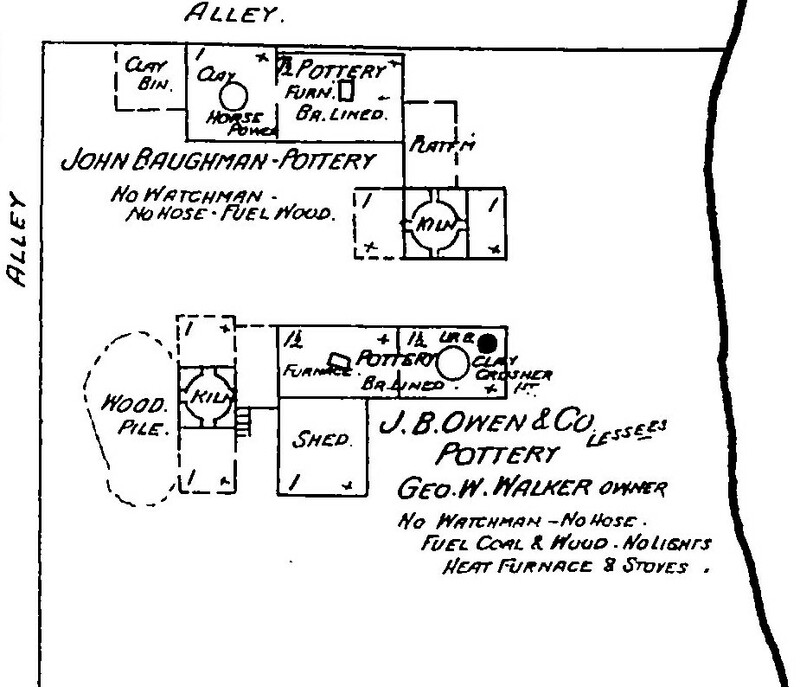 By 1889 J.B. Owens had moved across town and expanded his operation to include three kilns. This pottery was also conveniently located along the main rail line of Roseville, Ohio. Sanborn Map (1889) From Author’s Collection. 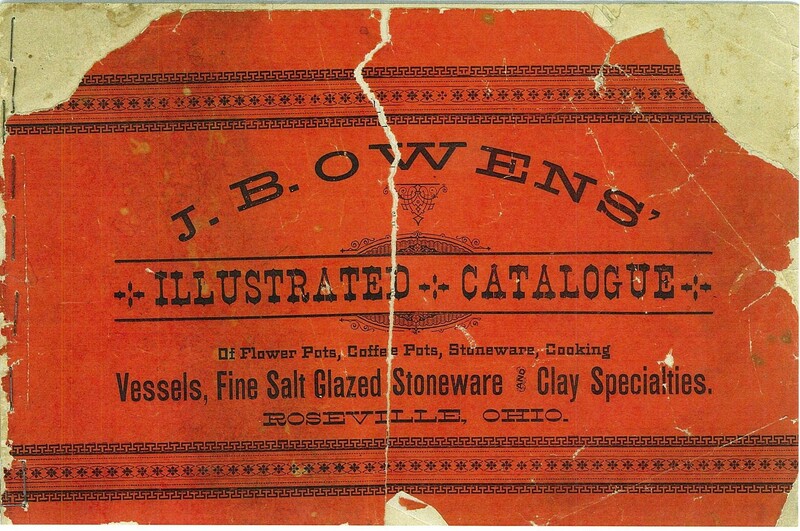 Pottery catalogs were first published by J.B. Owens while his company was located in Roseville. An undated catalog from this period illustrates 37 of the approximately 110 mold numbers produced by Owens at that time. Undated Owens Catalog, From Authors Collection. 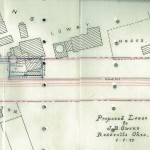 In 1891 Owens moved his operation again this time to Zanesville, Ohio. Based on negotiations with the Zanesville Board of Trade, J.B. Owens secured funding for a new building with its own rail spur. The new factor was in operation by 1892 and expanded several times over the next few years. By 1895 it included five large kilns; a steam powered drying room; and a large art department with a printing operation located on the third floor. 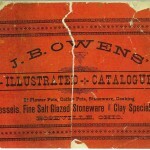 By 1892 Owens produced yearly pottery catalogs along with large advertisement sheets. Examples of the early catalogs are very rare as J.B. Owens offered financial incentives of $0.50 to $5.00 to return his catalogs back to the factory with each order. 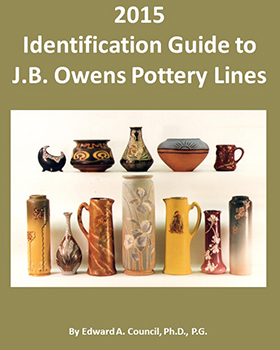 As such, most catalogues used to purchase pottery were returned to the Owens Pottery and likely destroyed. Conversations with the extended Owens Family indicate even they do not possess any of these documents. Owens incorporated his pottery operation in 1898 in the State of Ohio. 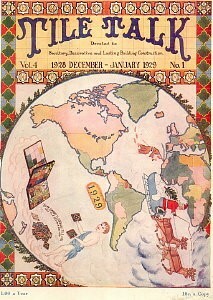 By 1901 Owens began producing the Owens Newsletter. On March 2, 1902 a fire destroyed most of the Owens Zanesville operation including all of his pottery models and molds. 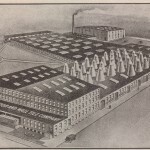 Nevertheless, Owens quickly rebuilt on-site and expanded his operation to include 11 kilns. Select earlier molds were remade and the Owens Newsletter continued to be printed. In July 1902, during the interim period between the fire and the operation of his new Zanesville pottery plant, Owens purchased the American Art-Ceramic Company (AACo) located in Corona New York. This site is also noted as the likely source of the Corona line as existing AACo molds appear to have been employed to make pottery. However, changes in the metallic glazes used by AACo and those used in the cheaper Corona line are clearly evident. 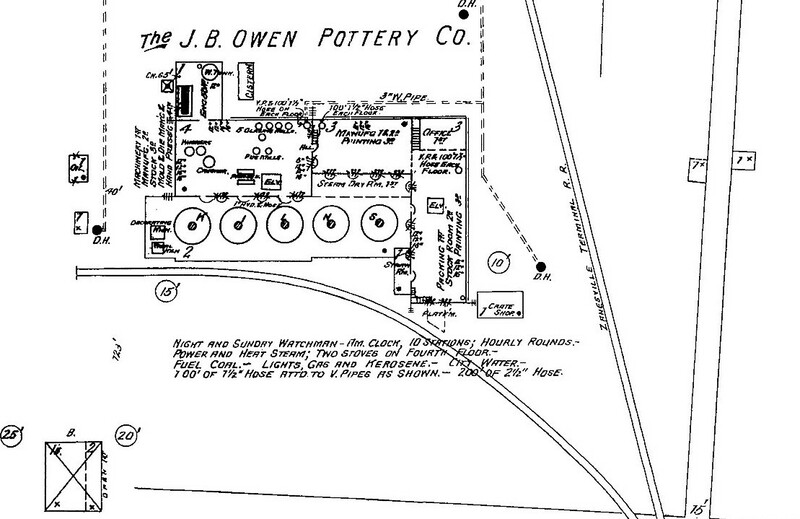 In 1905, Owens began making tile within his pottery plant. In short order, tile production began to dominate production operations at the factory. By 1906 the property title was transferred to the “The Zanesville Tile Company”. 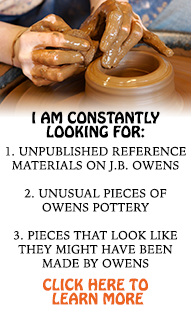 Nevertheless, pottery was still produced for years to come, under the name “The J.B. Owens Pottery Company”. 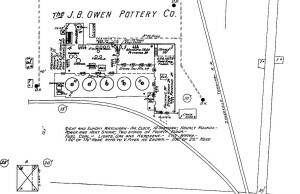 J.B. Owens Pottery Company as it appeared around 1907. In 1907 J.B. Owens appears to have sold most of his interests in both operations to outside investors and then stepped away from his former company. However, he was still the largest creditor to these operations and he was forced to re-assert himself back into their management when the tile operation was push into receivership by one of the disgruntled investors. 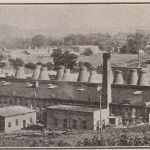 By 1909 Owens reportedly purchased the personal assets of the two companies during the liquidation of former pottery operation. These assets by definition included everything that could be removed from the factory building/property. The property and the empty building were then sold to the highest bidder, William Shinnick of the Mosaic Tile Company. As J.B. Owens had entered into a bidding war with Mr. Shinnick, it appears he drove the price up to $50,000 to achieve the amount still owed to him by his former company. 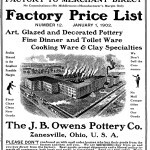 Within a month of the 1909 sale J.B. Owens broke ground on the J.B. Owens Floor and Wall Tile Company located across the street of his old factory. 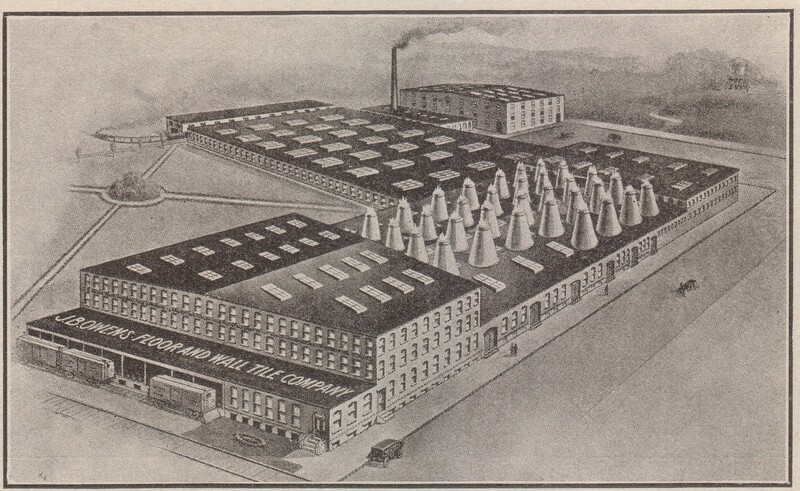 This new and enlarged factory was quickly put into operation as it is listed in the 1910 Zanesville City Directory. 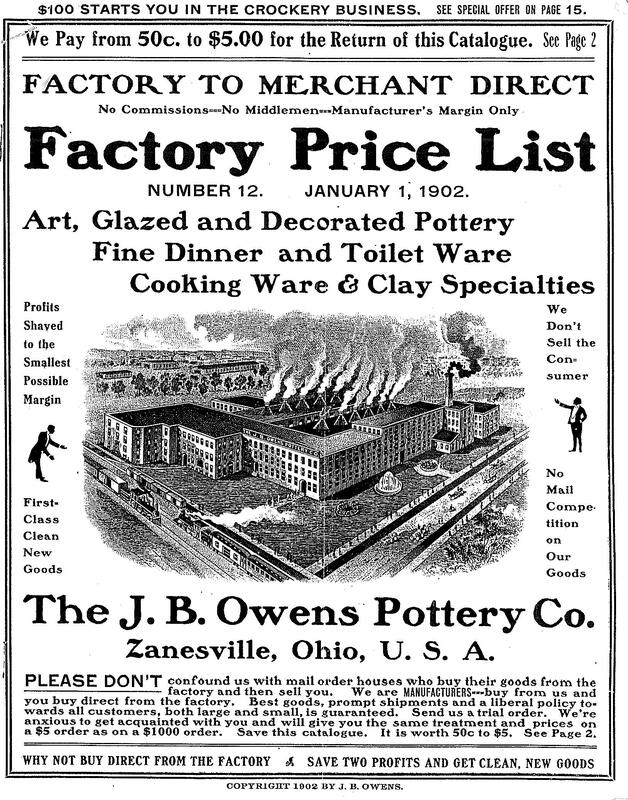 Per trade journal advertisements, both pottery and tile were produced at the new Owens plant for at least a year or two. 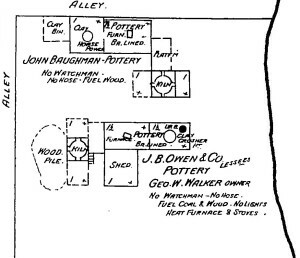 Excavations in this area have likewise confirmed the production of pottery at this address as pieces of molded ceramics have been found there that match products produced earlier at the J.B. Owens Pottery Company. After only a few years, the 20 kiln tile factory appears to have ceased producing pottery and only produced various grades of tile thereafter. In the 1920s, additional investors were brought in and the tile company’s name was changed to the Empire Floor and Wall Tile Company. Over the next several years J.B. Owens had ownership in and/or operated multiple companies. This included several tile factories located in Metuchen, NJ (built in 1916) and Greenburg, PA, the J.B. Owens Tunnel Kiln Company in Columbus OH, the China Products Company in Zanesville OH, J.B. Owens Tile and China Co. of Zanesville OH, a china company in Metuchen, NJ and others. During this period Owens was also awarded over 20 patents mostly related to his tunnel kiln. 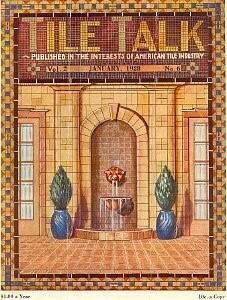 From approximately 1926 to 1929 a periodical, Tile Talk, was published by the Empire Floor and Wall Tile Company. 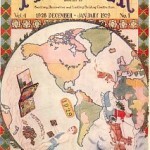 This multi-page publication was intermediately produced over the years to advertise various products made by the company. Approximately 24 different editions were published during the 3 to 4 years it was published. 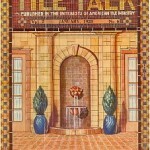 Tile Talk, From Authors Collection. In March 1928 the Zanesville Empire plant burned down. It was rebuilt and briefly operated before going into receivership. The Metuchen tile and china operations may have lasted a few years longer, but also went into receivership by 1931. Interestingly, the company, at least on paper, continued to exist for many years (i.e. at least into the 1950s) in litigation against other parties. Shortly after the beginning of the Great Depression, J.B. Owens married and moved to Florida. Although he must have suffered some financial loss due to the bankruptcy of the tile operations, it is likely those losses were limited. News articles from this time period indicate Owens was actively involved in the tile operation just prior to the Great Depression. However, corporate documents filed at this time indicate he was no longer a listed member on the board of directors and as such likely had little controlling interest or stock in the company. Further, at the time of his retirement to Florida, J.B. Owens still had considerable wealth as he owned several cars, a home and a large citrus grove near southern Florida. J.B. Owens has always been a litigious person and often involved in lawsuits to recover money owed to him and his companies. Bases on Family Oral History, Owens feared potential lawsuits from disgruntled creditors due to his management role in the Empire Tile operation. As such, Owens transferred his wealth into his wife name to appear, on paper at least, to be penniless. This fabricated story was short lived as his wife died in a tragic fire/accident. After her death, family members indicate he re-inherited his assets, but quickly transferred them to a favorite niece under contract that specified his use of them until his death. After that point they would completely transfer to her control. This arrangement was only needed for a short time as J.B. Owens past away after a few more months and is buried in Florida next to his wife. Although there is lots of inaccurate and conflicting data out there, I am doing my best to be accurate. However, I can make NO guarantees. I welcome all input and this site will evolve through time as new information is incorporated into it.